But, I do believe Dally and I feel a bit tired! Carol, I made a terrible mistake yesterday. When I suggested “Effie” for a name, in the night I remembered that it was a family name. I’m so sorry! Could you give me your own e-mail address, I need to write to you about the family. Carol, what is the puppy’s name? She’s so adorable! Is Dally showing her the ropes? 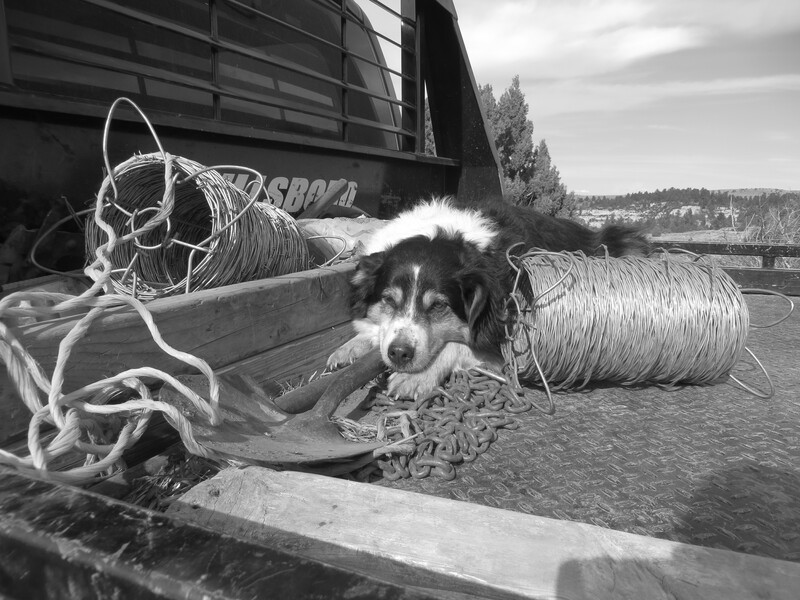 Great image of a tired working dog! controlled ? Or is controlled ? Thanks. Poor Dally… you can tell she is so tired that even a bunch of chain makes a bed… I am sure she has a lot to teach the new puppy….